Although some hotels and resorts by their nature require many resources to operate, this selection of eco hotels means that these hotels acknowledge the strain they place on the environment and as a result actively try to minimise their waste and also water and energy consumption. Some of the larger hotels are even audited and accredited by independent environmental organisations to assure guests of their commitment to mitigating environmental damage. As well as reduced consumption and waste, Eco-friendly hotels may also go further by offering charging stations for electric vehicles and food that has been grown organically and / or sourced locally. In fact, many eco-hotels grow their own produce in gardens which may be accessible to guests (ususally in smaller types of accommodation). In recent years, with the increased awareness of climate change and other ecological issues, many people seek eco-friendly, organic hotels for more than just an alternative health angle. More and more people want to experience an environemntally friendly and sustainable holiday. 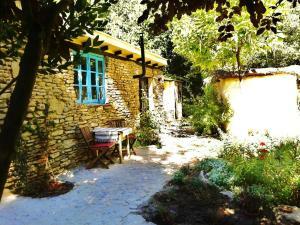 This can entail a relaxing break in natural surroundings, eating organic food and breathing in fresh unpolluted air. It can also include a certain level of participation in activities like sowing, tending and harvesting crops in the hotel grounds. Although the coastal areas have undergone massive development and expansion in many parts of southern Spain, there are still many unspoiled areas that have attracted groups of holistic and organically minded people. There are an increasing number or organic farms and centres where the use of chemicals is discouraged and irrigation systems are carefully monitored. Many of these places also favour solar heating systems which generally works well in Andalusia, so there are many opportunities in Andalusia to stay at a guesthouse or on a farm with organic produce. Thanks to its wonderful climate, Andalusia is an ideal place to experience organic farming first hand or to relax and enjoy the benefits of nature. The Eco hotels below are selected from one of our affiliate partners. This ecological hotel is situated on the Costa de la Luz, next to the natural setting of Río Piedras. Featuring sea views, this property has a spa, swimming pools for adults and children, and a large sun terrace. The property also features an Adventure Park for children, including a green and a sand area with several games. Hotel Fuerte Marbella enjoys a superb beachfront location near the centre of the old town. It offers free WiFi, views of the sea and 2 swimming pools. Hotel Fuerte Marbella is surrounded by large gardens. The El Olivo restaurant offers a buffet breakfast and a changing dinner buffet menu. Hotel Fuerte Marbella has a charging point for electric vehicles. Ilunion Alcora Sevilla is located in San Juan de Aznalfarache, 10 minutes' drive from the old town and offers a regular transfer service to Seville city centre. It has a seasonal outdoor pool and a 3,000m² terrace with city views. The air-conditioned rooms include TV and a work desk. 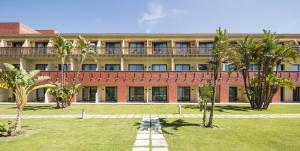 Ilunion Alcora Sevilla offers family rooms and adapted rooms for disabled guests. Located on the seafront in the Costa de Luz village of Roche, a 15-minute drive from Conil de la Frontera, Ilunion Calas de Conil offers outdoor and indoor swimming pools and a spa. Next to the pool guests can enjoy a snack bar and the à la carte restaurant Cala Encendida, serving Mediterranean cuisine and local fresh fish. The hotel also has a buffet restaurant that serves traditional local dishes. Situated in Torrox Costa, Casa SiempreViva offers accommodation with air conditioning and access to a garden. Free WiFi is provided. The country house offers a flat-screen TV and a private bathroom with free toiletries, a hair dryer and bath. A continental breakfast is served every morning. Nerja is 8 km away and Malaga Airport 66 km away. Offering a seasonal outdoor swimming pool and 24-hour gym, Hilton Garden Inn Sevilla is located in the Parque Empresarial Torneo Business District. 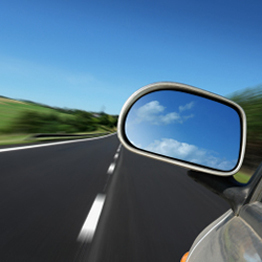 It has a 24-hour business centre, restaurant and offers daily courtesy transfers to the historic centre. Each modern air-conditioned room features free WiFi and large windows with views of the outdoor pool. 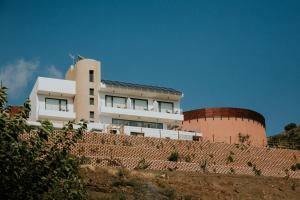 Set by Tejo River, La Molina is an eco-friendly property offering self-catering accommodation in Setenil. Offering an outdoor dining area with BBQ facilities and hammocks, this holiday home is 18 km from Ronda. With a rustic-style combination of wood and stone, the house features a bright bedroom and a living-dining area with a kitchen including an oven and coffee machine. 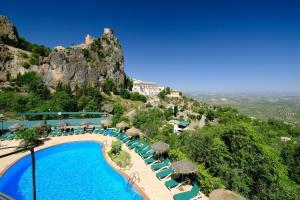 The hotel is situated in Alájar in the Sierra de Aracena and Picos de Aroche Nature Reserve. San Marcos is an energy-efficient hotel with under floor heating and cooling systems. Posada San Marcos serves a traditional breakfast featuring home-made products and local olive oil. Guests can enjoy al fresco dining on the terrace with wonderful views over the valley. The eco-friendly Hotel Sierra de Cazorla & Spa Óleo Salud is located just outside Cazorla in Jaén province. It offers free Wi-Fi, an outdoor pool and a luxury mountain spa. The Spa Óleo Salud’s treatments mainly revolve around the use of olive oil. It is also equipped with a solar-heated hydrotherapy pool, flotarium, massage cabins and a selection of saunas.